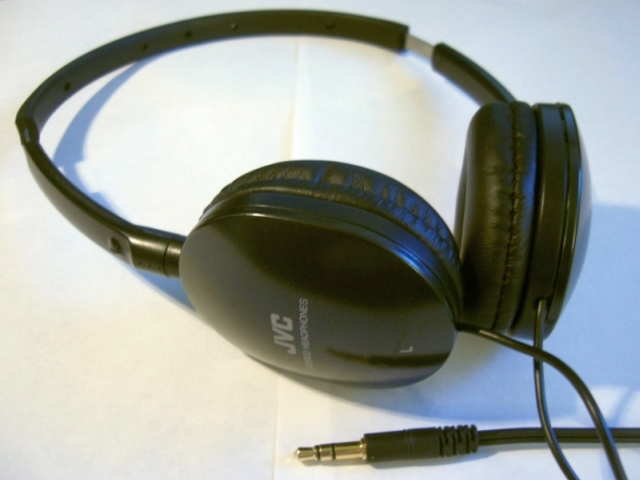 Brief: An open-box pair of these cost me $5.59 including shipping, but don’t let the miniscule price tag deceive you – the JVC HA-S150 Flats are very good headphones in their own right. Build Quality (6/10): Upon receiving my open-box pair I immediately noticed that the structure rattles quite a bit. The plastic bits do not feel precision machined like those on the Sennheiser PX100. Another place where the budget nature of these is noticeable is small details such as the lack of strain reliefs on cable entry. On the upside, the plastic is quite thick and sturdy. The headband is metal, and very similar to that of the PX100s, but wrapped in plasticky rubber instead of padding. Comfort (6/10): The earcups swivel nicely about the vertical axis, and can provide a good fit. The range of motion of the earcups is nowhere near as wide as that of the PX100s, though, and they clamp down harder despite weighing about the same. Overall, with a bit of fidgeting, I find them very comfortable for some time, but not as suited for prolonged use as some of the other on-ear sets. Isolation (5/10): These are marketed as semi-closed phones. They leak less than the PX100s and isolate just a bit more. The pleather on the earpads is much thicker than that of the other pleather-padded headphones here. As such, it does not conform as well to the shape of one’s ears and does not seal as well. It’s also less pleasant to the touch. With softer pads these could potentially seal much better. Sound (5.5/10): On a scale set by budget heavyweights like the KSC75s and the PX100s, the Flats lose points to both, which is really quite a shame because they are good-sounding phones in their own right. They are not as smooth as the PX100s, nor are they as full and rich as the KSC75s. They are, however, well-balanced, reasonably detailed, punchy, and fun. They go surprisingly high at the upper end and provide a decent impact at the lower end. The bass is not as full as with the KSC75s but better controlled. Initially they are somewhat bright and harsh but seem to settle down. Still, they do not fail to impress right out of the box, especially with the price tag in sight. Value (8.5/10): The prices fluctuate drastically for the JVC HA-S150 Flats, but hit up ebay and you should be able to pick an open-box pair up for ~$10 – a great deal in my book. They can be put on and pulled off much quicker than the KSC75s while at the same time staying on securely. All in all, these are great headphones if you want some disposable backups, cheap everyday beaters, or something to toss in the box at the office gift raffle. And if you’re still using stock earphones, there is no excuse for not spending $10 on a pair of these.